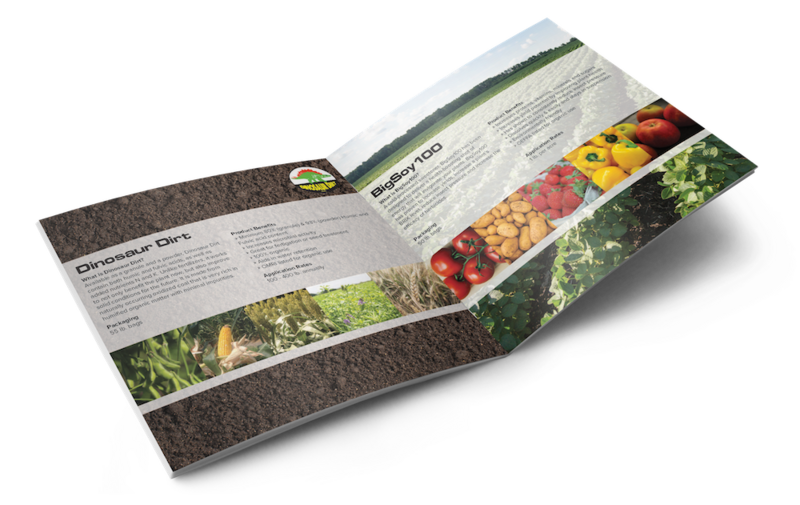 Soybean cyst nematode (SCN) is the most devastating and yield limiting pest of soybean in the U.S. including Missouri. 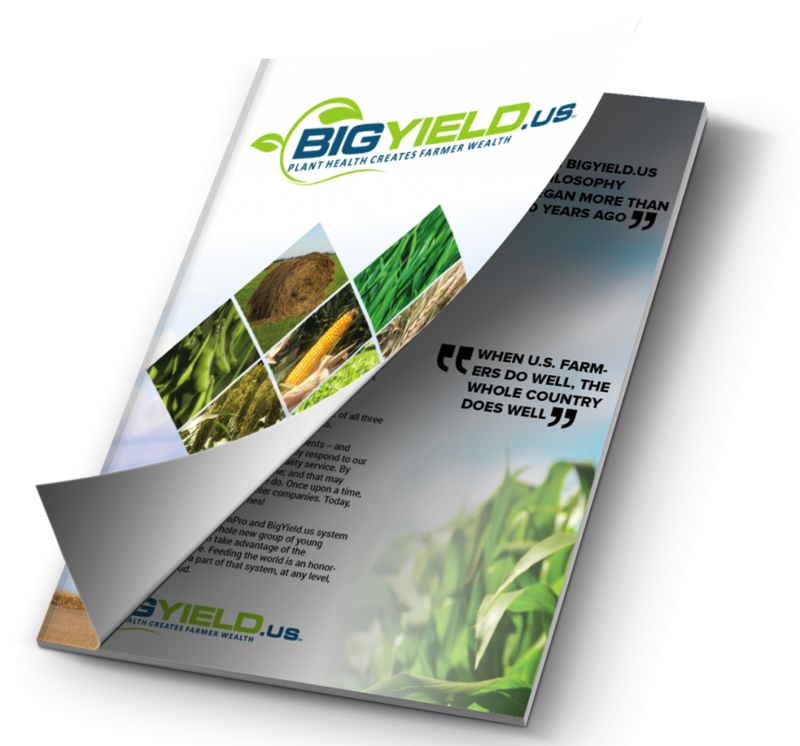 A recent three year study estimated that soybean cyst nematode caused annual losses of 128.6 million bushels. Identifying fields with SCN populations is often difficult because low numbers will cause little damage to roots so above ground plant growth and appearance may be normal. Suspect fields usually have plants of different heights, but environmental conditions may make stunting less obvious. When SCN is present and plants are under stress, symptoms such as chlorosis, plant stunting and — in extreme cases — plant death can occur. These symptoms may also occur with nutrient deficiency, herbicide damage and drought stress. The only way to be sure if there is a problem with SCN is to either examine the roots for cysts or test the soil for the presence of eggs. 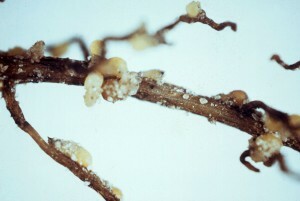 White, or yellow, females on roots are the only visible sign of SCN infection. The females are most often observed four to six weeks after soybean emergence. Plants exhibiting chlorosis or stunting or even healthy plants in fields that are suspected, can be dug in the field and the roots examined for the presence of white females or young cysts on the roots. The most accurate way of determining whether SCN is present in a field is to have the soil tested in a nematology lab for the presence of SCN eggs. Soil samples from infested fields should be collected before SCN-susceptible varieties are grown again or once every three years if resistant varieties are grown in a rotation. Soil samples may be taken any time but the ideal time is as close to soybean harvest as possible. Large fields may be subdivided into sections of about ten acres each and a single sample from each of the different sections submitted for analysis. Collect 10 to 20 soil cores, six to eight inches deep in a zigzag pattern. Bulk the cores in a bucket and mix thoroughly. Place about one pint of mixed soil in a plastic bag and label it. Store the sample away from sunlight in a cool area until it is shipped to the lab. In the past, a SCN population was given a race designation. Starting in 2003 the HG Type test was adopted to replace the race test. This test indicates which sources of resistance would be good for the field being tested and which would be poor. Since the genetic sources of resistance are limited in commercially available soybean varieties, it is important to rotate these sources of resistance to delay the buildup of a virulent SCN population. Not all soybean varieties with the same source of resistance have comparable yields, nor do they respond identically to SCN. Use soybean variety trial data to help select the SCN-resistant varieties that are adapted to your region.